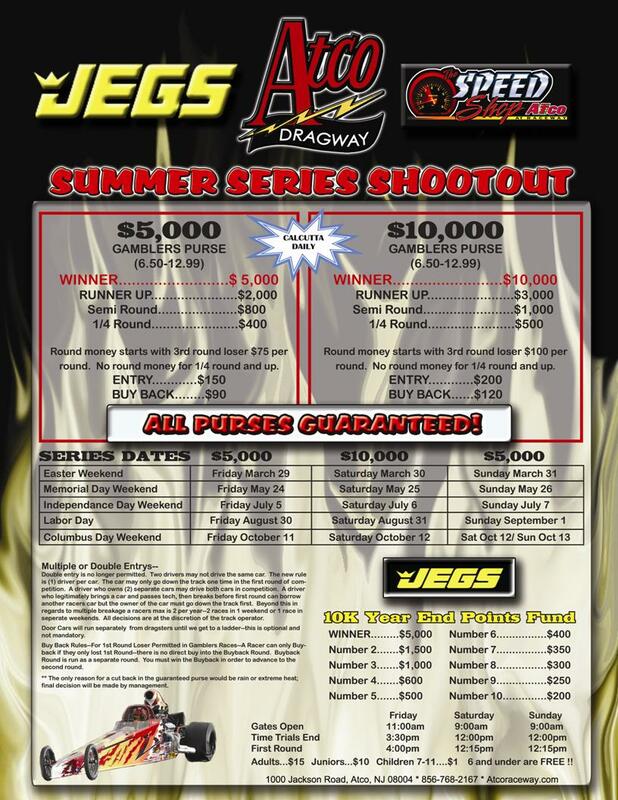 Clarksville, TN - No Box Racers will have a shot at $5,000 to win this Saturday at Clarksville Speedway in Tennessee. Gates open at 9am with eliminations around noon. Guaranteed Purse with 70 Cars. 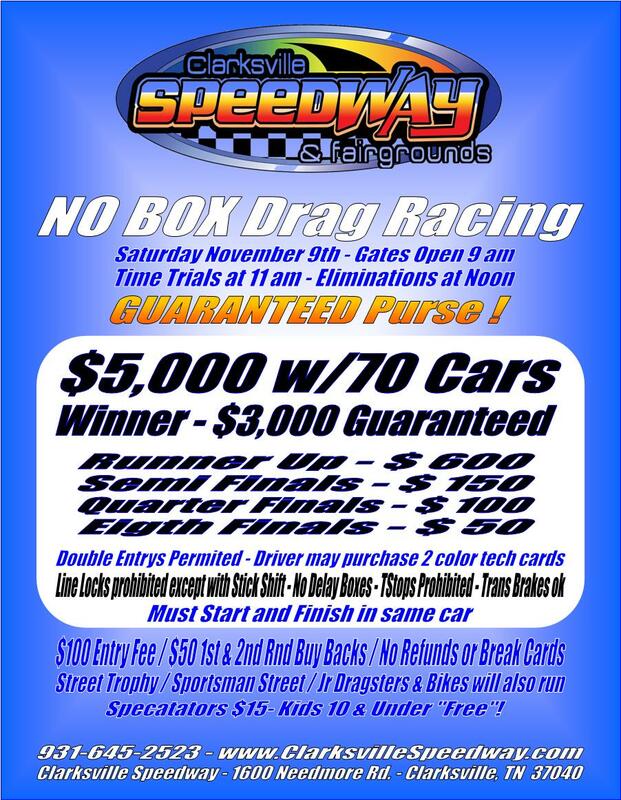 Clarksville, TN - Guaranteed Purse of $2500 for No Box Racers at Clarksville Speedway. $100 Entry fee with a low $50 Buy Back. Gates open at 5pm Friday Night. 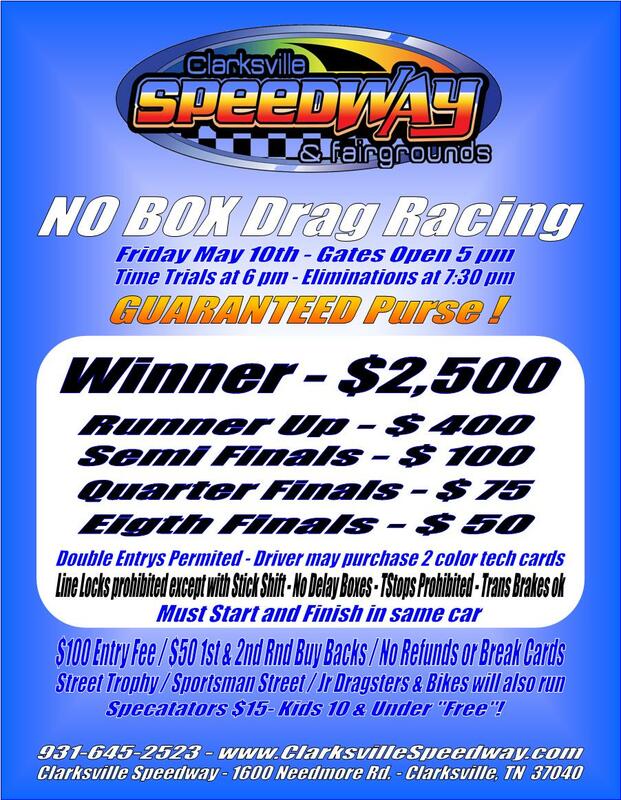 Clarksville, TN - Clarksville Speedway in Tennessee has a $2,500 to win Guaranteed bottom bulb race this Friday night. 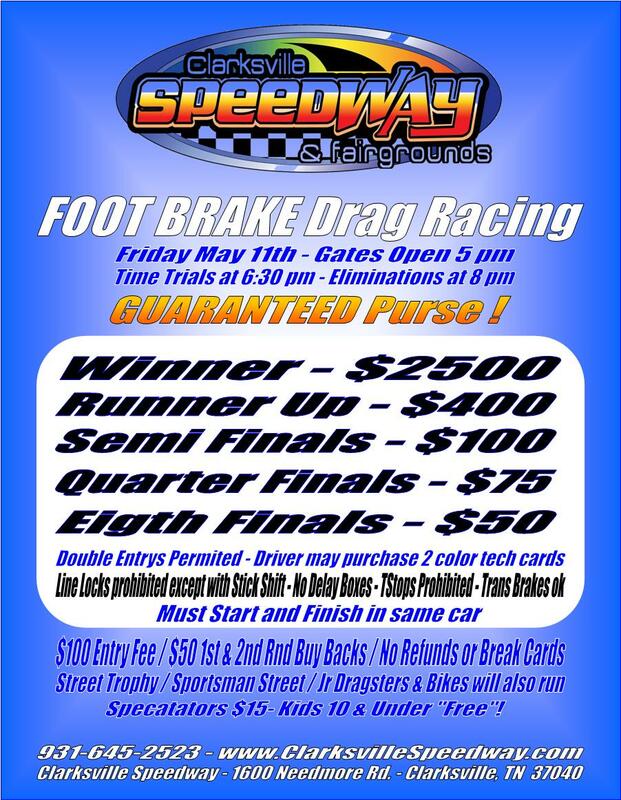 Gates open at 5 pm with eliminations at 8 pm. 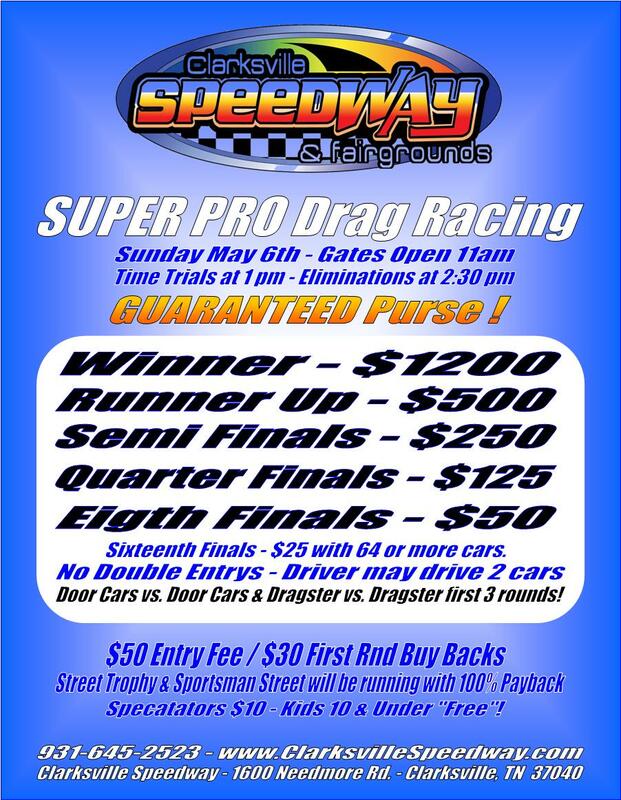 Clarksville, TN - Clarksville Speedway just north of Nashville, Tennessee is guaranteeing their Super Pro purse this Saturday. $1200 to win for a low $50 entry fee. Gates open at 11 am.